Emerald Cave (Morakot Cave) – The cliff ranging at the west of Koh Mook is the site of Morakot Cave. To admire its beauty is to swim about 70 m through the cave. The destination is a large hall without roof, emerald sea and white sand which achieve the world fame. 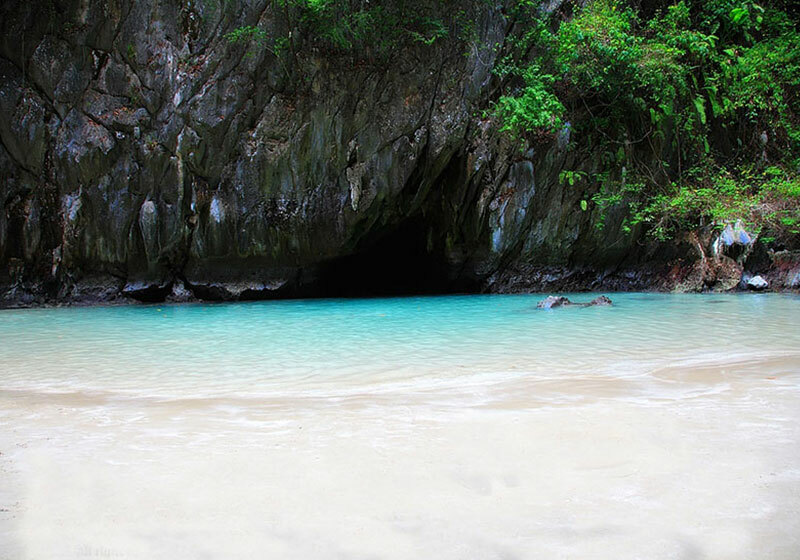 e of marvelous natural surroundings, white clean sandy beach, emerald colored sea where every group of tourists will spend some time admiring after swimming through the cave’s entrance. Short Description: Emerald Cave is a cave located on the west coast of Muk Island, which is in the Kantang District of Trang Province of Southern Thailand. The cave has a narrow 80m long tunnel. The cave can be entered either by swimming or by using a small boat.